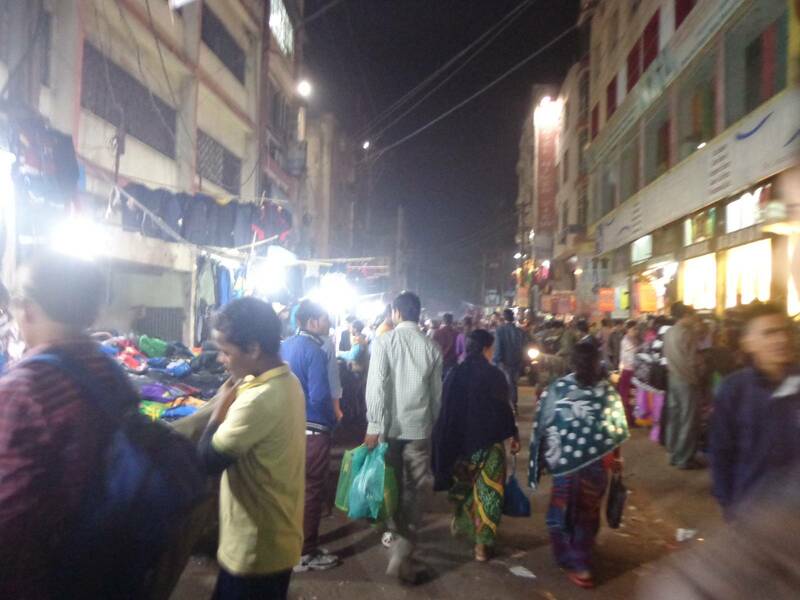 Paltan Bazaar is an important transportation and commercial hub. While we were hunting for a double room to stay, we found that there are three kinds of rooms in and around this place. The first group of accommodation consists of the sub-600 hotels. In most cases, these will have rooms with one shared bathroom / toilet for every four or five rooms. Most of these places are very poorly maintained. In one such place the mattresses were torn and dirty. Nandy was sure that there would be bedbugs to haunt even our nightmares. The second is the 900-1200 group which can be of good value if you choose a cleaner hotel / inn. Fortunately, we found one for 1170 which had power backup and good 3G connectivity. The last group consists of hotels that charge 1500 or more for double rooms. These hotels were beyond our budget. 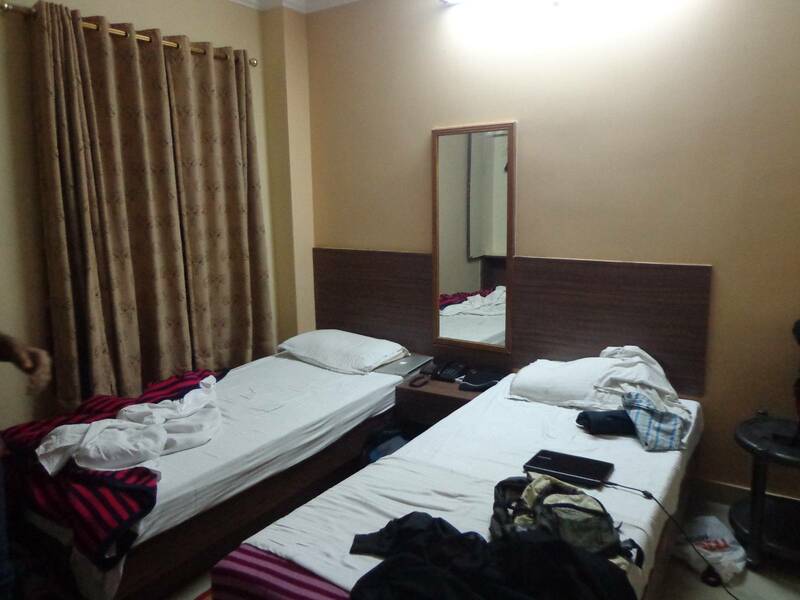 However, if one walks a bit away from Paltan Bazaar, they can get somewhat similar accommodation for the price of the second group. Here is a picture of our room. This is room 315 of Maitri Residency. The other wall has a TV mounted on it. 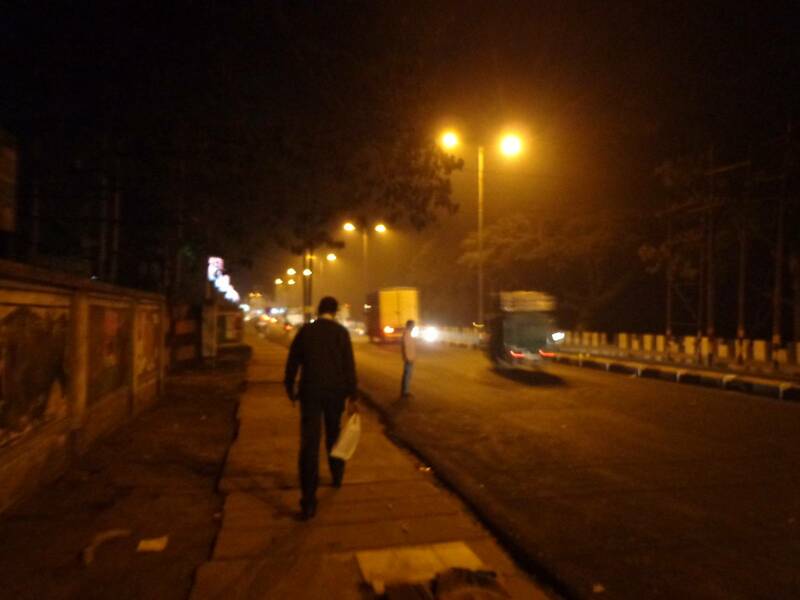 Guwahati as a commuter’s city. 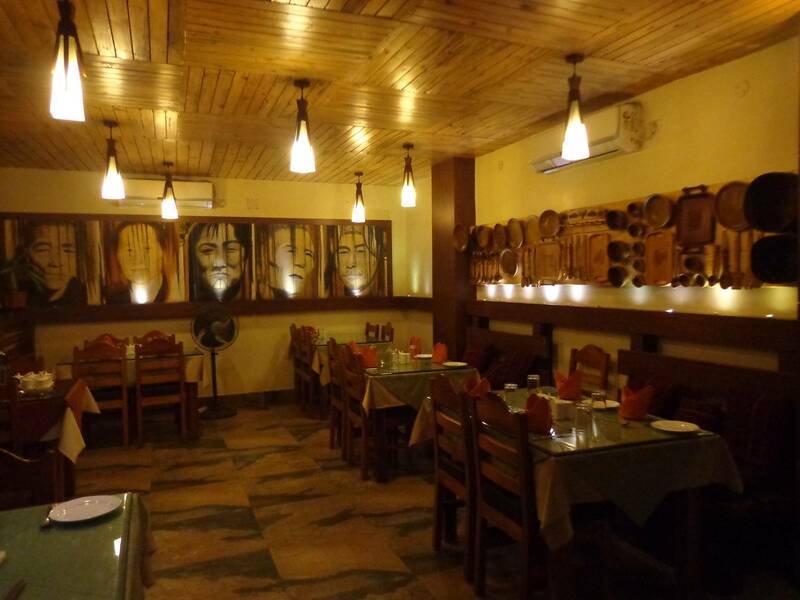 Nandy mentioned that this place reminded him of Ranchi. 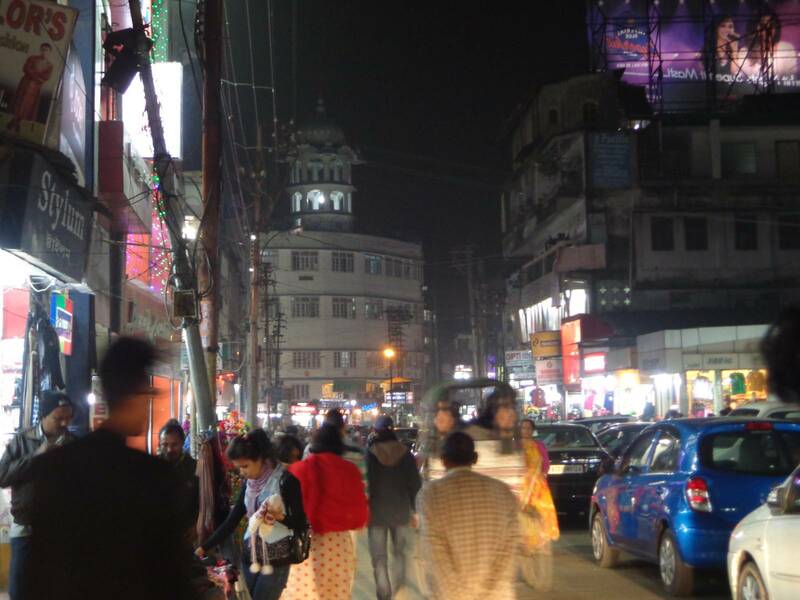 The streets are not as crowded as Kolkata, nor are the people as busy as Bangalore. The terrain is mildly uneven, with slopes that are within five degrees from the spirit level. The unevenness is due to the proximity of a few hills. Yet, it is far gentler than what a Bangalore dweller is used to. The vehicle density of Guwahati isn’t that high. What I found surprising was the lack of bicycles. The extent of the city is not that big. Almost everyone commutes by public transport or by cars. The former comprises of privately run buses and autos while the latter consists of low and mid range cars owned by individuals. I am not so well aware of the purchasing power of this city but it appeared to me that most people find it a necessity rather than a luxury to own a car. The cars pose their own problems. There are no dedicated parking spaces near most commercial hubs. As a result, more than half of the road width is occupied by parked cars in commercial areas. The main markets, like Fancy Bazaar, are thriving hubs of general purpose commercial activity. Even in this messy picture, one can clearly make out that stationary cars have eaten up a lot of road space. The vehicle density is lower than most metros and certainly lower than Bangalore, which makes it an excellent city to commute via a very basic geared bicycle. To my dismay, I could spot only three bicycles – all variants of the classic English bike still used in India. The city is very laid back and the people are very helpful. This would be an ideal mode of commuting over here. There are quite some areas where bicycle rickshaws are still used for ferrying passengers. I was searching for some excellent food. I was searching for some good momos. I tried a “meh” momo in Paltan Bazaar followed by an even worse plate of momos in Fancy Bazaar. The one in Fancy Bazaar had lot of local people flocking around him. I was tricked into thinking that the momos must be really good. 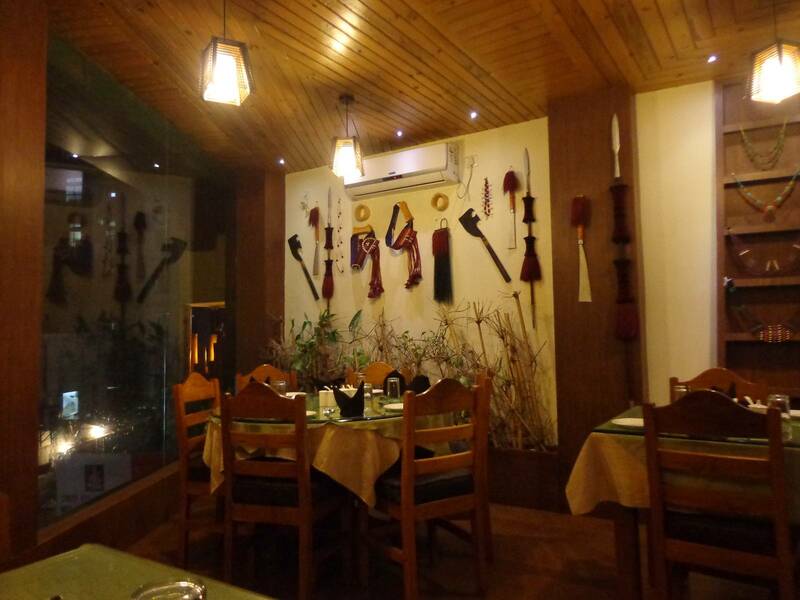 Tripadvisor had good ratings for Naga Kitchen. Although it was about ten kilometers from Fancy Bazaar, we decided to try it out. I hoped to get some amazing momos this time, but that wasn’t the case. The momos were not bad but Yak’s Kitchen in Bangalore will clobber these momos any day. The main course was not exceptional but not bad either. The layout and the decoration of the place was really good. 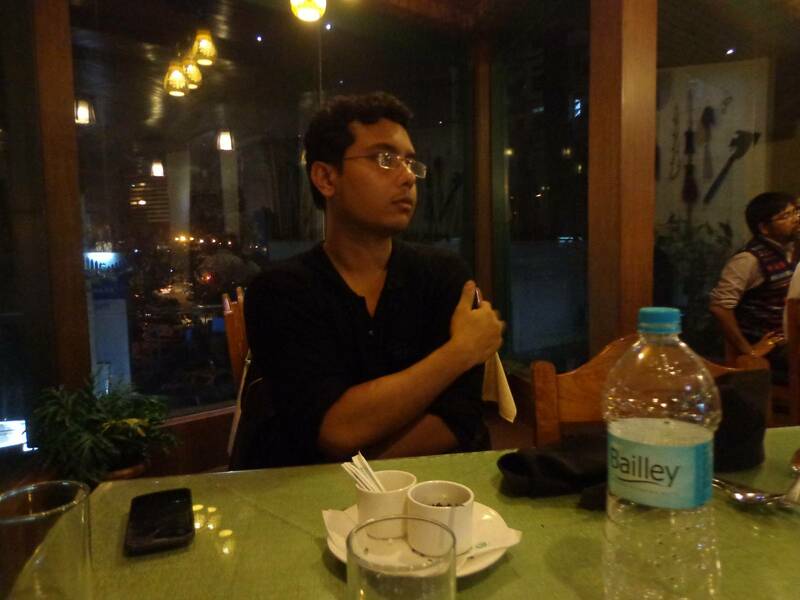 Nandy waiting for his food. He was starving. Naga weapons and jewellery used as decor. I don’t know what the portraits represent. The other wall had wooden Naga style utensils. Both were important. I have a Tata Photon+ dongle which refused to work in Guwahati. I am using my Vodafone 3G for internet. For the duration of our stay, there was hardly any power. If we had chosen a place without power backup, it would have been impossible for Nandy to work and it would have been impossible for me to use my phone since its battery has degraded and requires frequent charging. To be exact, Hero Jet (and the plus variant). A person from a travel agency went out of his way to explain how we can get an Inner Line Permit for Arunachal even though he knew that we weren’t going to give him any business since they did not have any services in that sector.